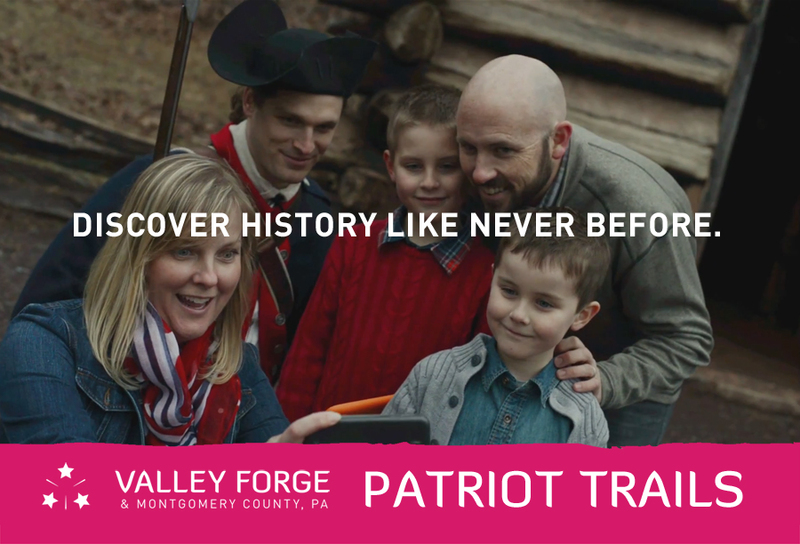 This Presidents&apos; Day weekend, the historical programming at Valley Forge National Historical Park includes the announcement of the VFTCB&apos;s latest tourism initiative, a new Revolutionary War-themed adventure. The impetus came from our Montgomery County Commissioners, who sought a way to encapsulate the vast array of local Colonial history into one, comprehensive resource. The charge was not just to collate the dates, sites and characters from the past but to also present them in a fresh and modern way. VFTCB Vice President Ed Harris embraced the challenge immediately, assigning the task to his marketing and communications team. "I knew the expertise in this department - the web skills, the writing skills, the creativity and the marketing and PR savvy - would produce something that would not only make local historians proud but also highlight the county as a whole." The result is Patriot Trails, a set of web-based itineraries that invite visitors to delve into the honor, valor and commitment that drove our country&apos;s quest for freedom. The details are presented in half-day, full-day and multi-day formats that users can customize, based on their interests and availability. 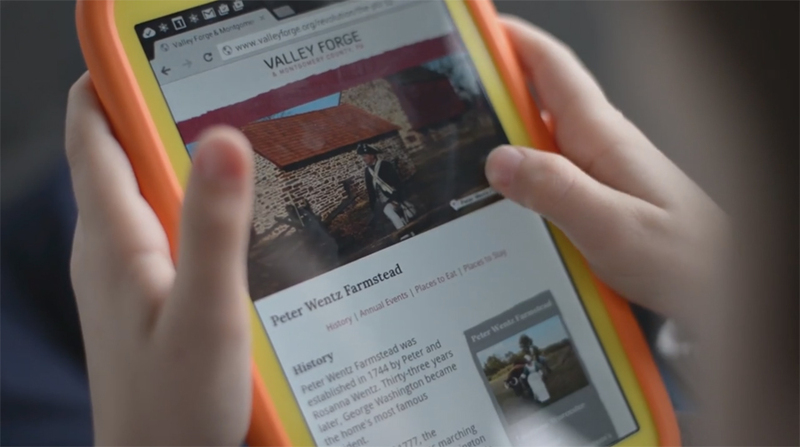 "We used the framework of our new website to make the story accessible on mobile technology," says Harris. "We knew we did not want a traditional, brochure-based list of things to do. It had to be usable on the go, in the car, anywhere." The content also has been written and designed in a story format, conforming to present-day trends to engage audiences in a compelling saga rather than overload them with factual minutiae. The first step was to curate all the Revolutionary War sites in the county, a task undertaken by Zach Brown, VFTCB Online Marketing/Research Manager. Working with staff from Valley Forge National Historical Park, Brown investigated dozens of historical locations across the county, culling out sites that had been closed or were otherwise unvisitable. "Several places have just been erased by the passage of time," Brown says. "Obviously we wanted to send visitors only to homes, farmsteads, troop access routes and encampments that they could actually stop and experience." He then ensured that the itinerary stops all represented reasonable commute times, given the structure of visits lasting from several hours to several days. The last piece of the itineraries addressed the need to be as comprehensive as possible, meaning that hotels and restaurants nearby each of the recommendations were also included in the online information. "The thought was to go beyond the idea of visiting stops. It was an invitation to go deep into the story by seeing something historic, eating in an inn or tavern with a significant background and staying in accommodations that spoke to history where possible," Harris says. Marketing Patriot Trails was also given a 21st century gloss. "Video has become an important driver on social media," Harris continues. "We definitely wanted to show the area using modern storytelling methods in a video." 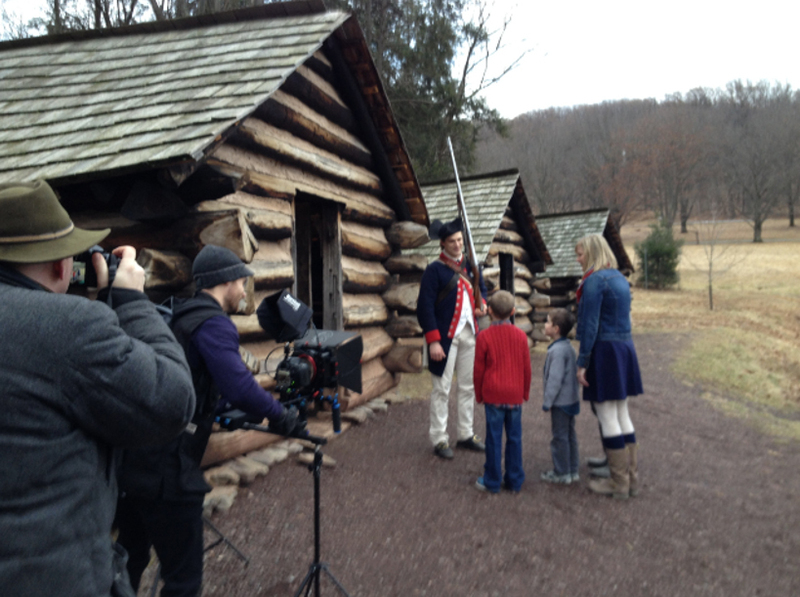 Joe Tacynec, VFTCB&apos;s "digital storyteller," headed the various shoots across Montgomery County, filming a family encountering our past. "When I was thinking about ideas for the video, I thought back to when I was a kid," Tacynec comments. "My parents took me to many historic sites and events, and I would come home and be so caught up in what I had seen that I would march in my backyard with a dummy musket and imagine myself in the story. That was what I wanted to convey in the video: How historic sites can open up a rich world of heroes, legends, myths, battles, struggle and triumph." 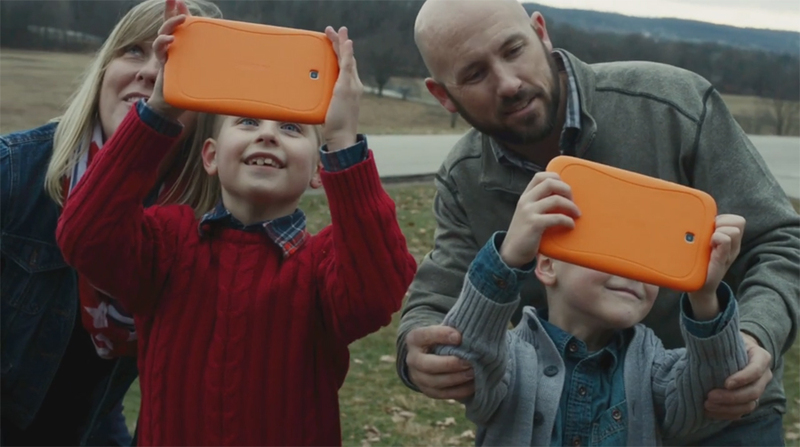 The family, Matt and Jess Tomlinson and their sons Tyler (8) and Mason (6), volunteered dozens of hours in video shoots that included Valley Forge, Harriton House, Courtyard by Marriott Philadelphia Lansdale, the Black Powder Tavern and Peter Wentz Farmstead. Tyler and Mason fell into their roles naturally, putting a healthy dose of sibling energy to good use in a hotel-room pillow fight and lively reactions to the sound of cannon fire. Tacynec established a good rapport with them from the start, spending his first meeting with them having light-saber duels. The shooting schedule was ambitious, with a three-week window between the storyboard phase of the project and delivery of the final footage for the Presidents&apos; Day announcement. Tacynec had to coordinate with the various sites, schedule reenactors, accumulate props and costumes and incorporate the boys&apos; school schedules into his shoots. Even the weather proved challenging, with changes in landscapes that resulted from snowfall. Using late afternoons and weekends, however, the story took shape. Tacynec&apos;s sense of pacing guided the final edit, and the addition of a music soundtrack completed the video journey. "The exciting thing about the Patriot Trails concept," comments Harris, "is that it can be used as a model for other ways to discover all that Montgomery County has to offer. We are already exploring the possibilities. Just think of a similarly comprehensive way to discover our arts and culture scene. Or our many neighborhood restaurants or brewpubs. Or our deep history beyond the Revolution. The County Commissioners brought us a really interesting idea, and we&apos;re excited to see how far and in how many different direction our team can take it." The Patriot Trails section of the VFTCB website goes live after it is announced on February 16. Don Naimoli, chairman of the Friends of Valley Forge Park, will introduce the public to the tours as part of his introduction of General George Washington, which is part of the birthday celebration at Valley Forge National Historical Park. Among the first to take the tour is the Lane family, visiting Pennsylvania from Virginia. Ava Lane, five, is spending the long weekend in Valley Forge with her parents and siblings as guests of the VFTCB, as detailed in our blog from Tuesday. If, like the Lanes, you want to make the three-day weekend one in which to explore all of Montgomery County - including Patriot Trails - see our website for information on the hotels participating in our winter campaign. As you explore, experience, dine, shop and unwind, be sure to share your escapades using #MakeItMontco.